Tucked inside a restored colonial residence in San Miguel de Allende, Mexico, is the Dôce 18 Concept House. Here visitors will find high-end galleries, bespoke millinery, and, perhaps most special of all, a six-seat tequila bar known as Casa Dragones Tasting Room. It’s the smallest tequila bar on Earth, though there’s nothing diminutive about the design or the liquor served inside. Considered by many to be the finest sipping tequila, Casa Dragones is known for its hand-numbered and signed bottles of small batch sipping tequilas. The original Joven blend (100 percent blue agave silver and extra aged tequila that can cost $300) is designed exclusively for sipping neat—you won’t find it polluted by cheap margarita mix. But as of this week, Casa Dragones is also a reservations-only tequila bar. Design firm Meyer Davis and interior designer Gloria Cortina were tasked with creating the intimate space. To do so, they traveled to the agave fields in Tequila, Jalisco, where Casa Dragones produces their tequila. Massive obsidian stones were collected from the volcanic belt and transformed into no less than 4,000 glittering black tiles. “Casa Dragones Tasting Room will take visitors on a journey,” the brand’s CEO and co-founder, Bertha González Nieves, told Travel + Leisure. She described it not as a bar, but as a “one-of-a-kind destination,” where tequila aficionados will be able to truly experience the liquor’s craftsmanship. In addition to the official tastings of Casa Dragones Joven Sipping Tequila and the Casa Dragones Blanco, guests will be able to order signature cocktails from a rotating roster of mixologists. Renowned bar masters (Mexico City’s Isaac Martinez, Dave Arnold of New York City’s Booker & Dax) will be among the first to helm the bar at Casa Dragones Tasting Room. 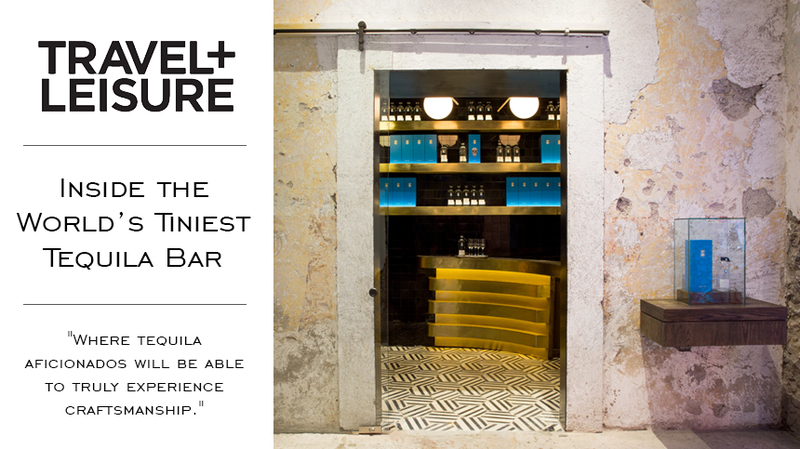 Reservations to visit must be made in advance at Concierge@CasaDragones.com. Learn more about the inspiration, design and creation of Casa Dragones Tasting Room here.